The number of Venezuelans living legally or illegally here is nowhere near 40,000 as estimated by the Living Waters Foundation’s Ministry for Migration and Refugees, National Security Minister Edmund Dillon stated yesterday. 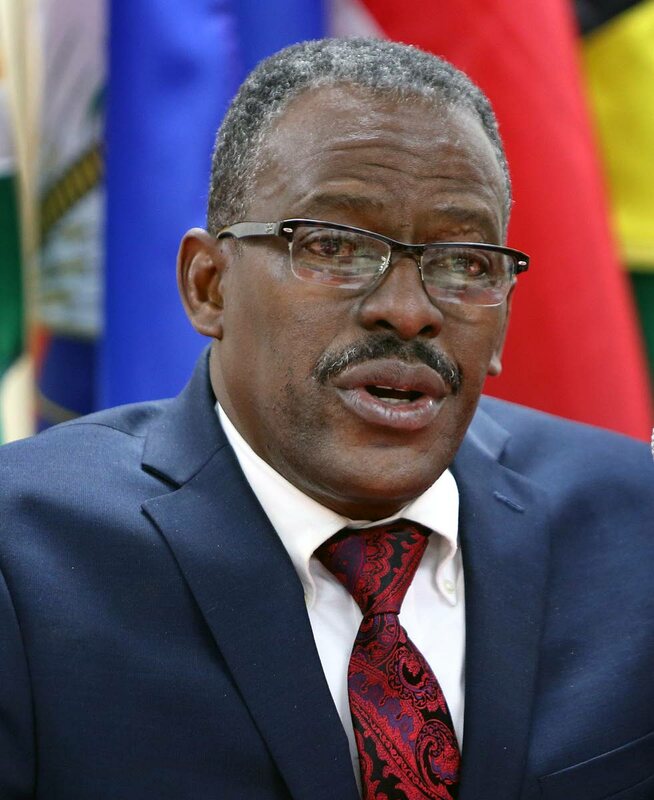 “I can safely say that during the early part of this year, there has been a decrease in the number of Venezuelans coming to Trinidad and Tobago,” Dillon said at a Joint Select Committee on National Security symposium at the Hyatt Regency, Port of Spain. Over the years, he said, both incoming and outgoing Venezuelans into TT have been monitored. Asked what was the last estimate of Venezuelans living in TT, Dillon the last estimate was in July, but he could not provide a number. He said the Chief Immigration Officer was in the process of updating the estimate right now. “The areas of concern for us are the ones coming in illegally,” he said. The Regiment and Coast Guard, he said, have stepped up land and sea-based patrols in rural areas especially in the south east coast of Trinidad in areas from Icacos to Moruga. Patrols have also been ongoing in areas on the north coast including Blanchisseuse. In addition, Government last year re-established bilateral cooperation with the Venezuelan authorities, so there is now direct communication between the commanding officer of the Coast Guard and their Venezuelan counterparts. On the issue of Venezuelans coming to TT because of the socio-economic and political turmoil in their homeland, being a national security threat, Dillon said it was difficult to suggest this with no empirical evidence. He added that not only Venezuelans “are on the radar”, but also a number of illegal immigrants from Bangladesh, China, Nigeria and Ghana. Reply to "Dillon: Not 40,000 Venezuelans"